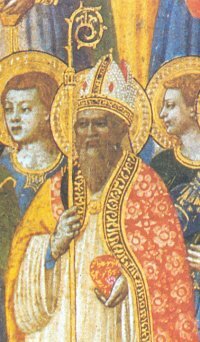 A convery from paganism to Christianity, Ignatius became Bishop of Antioch around AD 69. He was arrested by soldiers loyal to Emperor Trajan during a time when Christians were being actively persecuted. 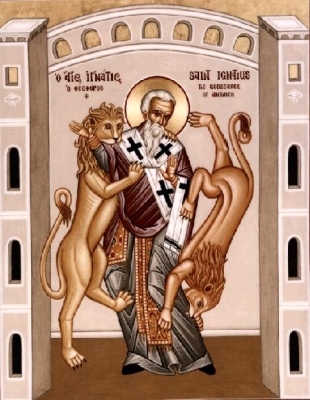 After his arrest, he was sent to Rome to be executed by means of wild beasts. On the way to his martyrdom, a journey which took months, he wrote a series of letters to the churches under his care. He is credited with first calling the church "Catholic". 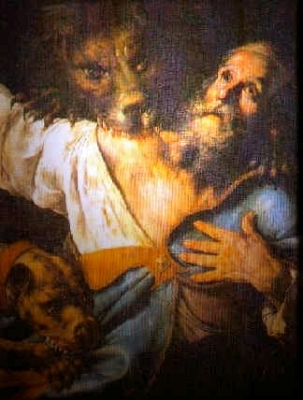 As the legend is told, Ignatius' faith remained steadfast, as he continued to loudly call upon Jesus' name as he was being torn to pieces. Legend also has it that Ignatius was the infant that Jesus took into his arms in the Gospel of Mark chapter 9.